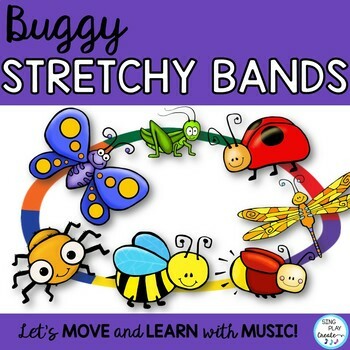 BUGGY STRETCHY BAND ACTIVITIES are perfect for springtime movement activity time. 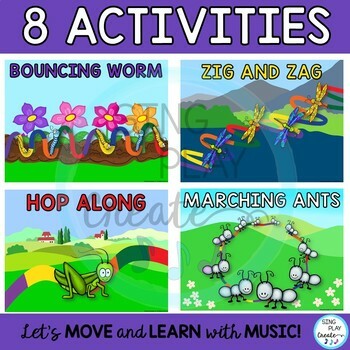 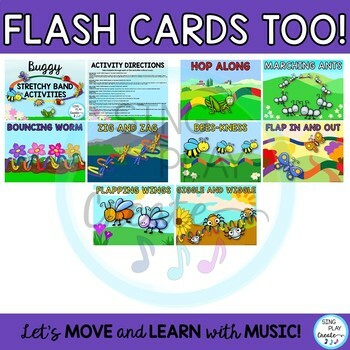 Picture your students stretching, bouncing, hopping, marching, twisting, wiggling through your music and movement activities. 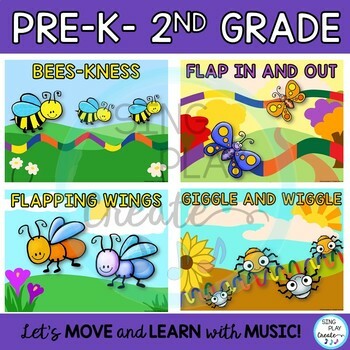 Best for Preschool through 2nd grade ages.